A small community can easily be daunted by having to raise a massive amount of money to save core heritage – in our case the Norman church at the heart of the conservation area in Flamstead, Hertfordshire. But there are advantages which fundraisers will benefit from. 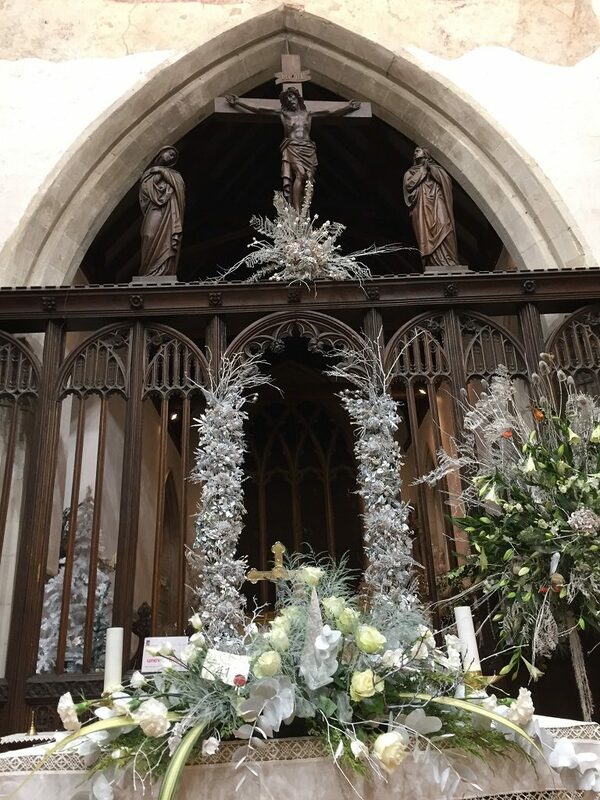 The Narnia-themed Winter Flower Festival at St Leonard’s, which runs from 24th-26th November 2017, is a case in point. 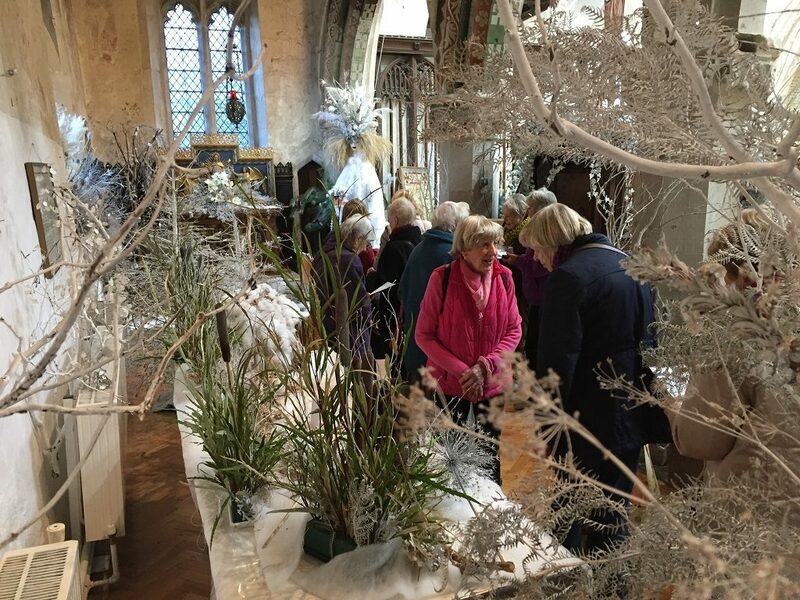 The person who had the vision for doing this, Jackie Scopes, has lived in the village for many years and has built up a network of arrangers across the local area through her involvement with the Flamstead and St Albans Abbey Flower Guilds. 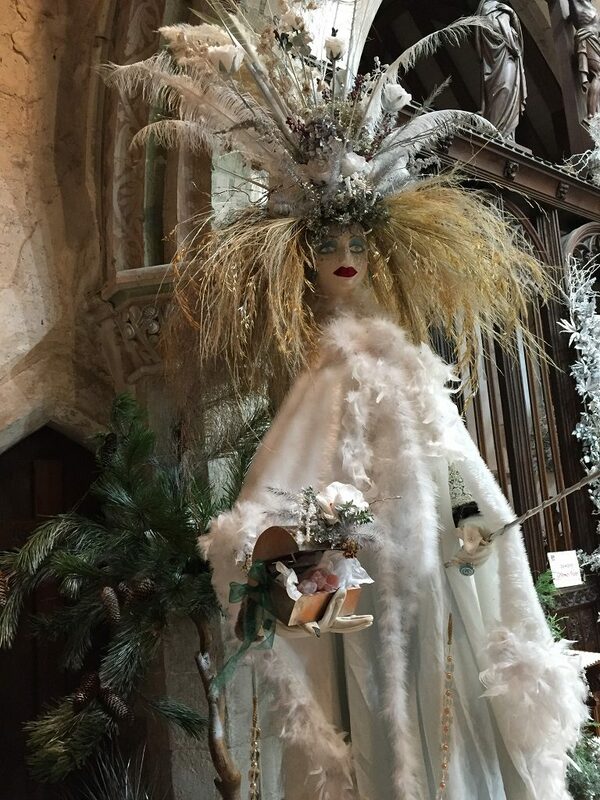 As she puts it, “calling in favours from the past 30 years”, Jackie has energised and led the huge effort over the past year to deliver an breathtaking transformation of the church into a 4-season wonderland complete with characters from the books. 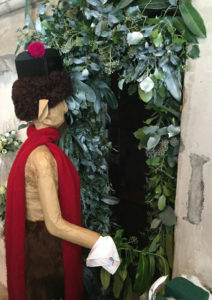 Walking through the wardrobe at the entrance to the church, visitors entered a magical world created with 80 fresh and dried floral displays, and lifelike model animals. 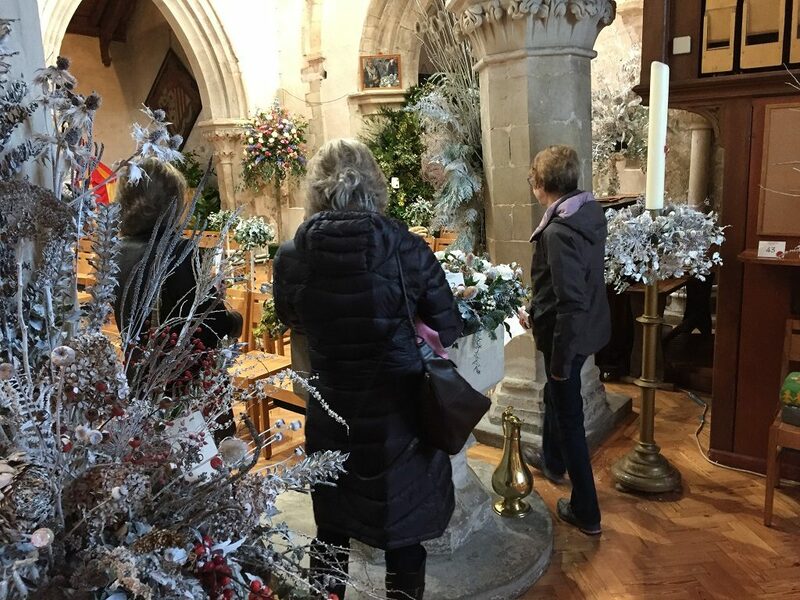 A team of 57 floral designers and arrangers from St Albans, Harpenden, Wheathampstead, Kinsbourne Green, Markyate, Redbourn, Sandridge, Hatfield, Childwickbury and Flamstead all contributed. Seed heads from alliums, leaves from holly, ivy, laurel were sprayed and arranged as winter background with impressive results. Twigs and small branches added structure. The entire church was transformed without spending a fortune on raw materials. The key ingredient was willing volunteers. And in a close-knit community that is often a commodity which is easy to achieve. 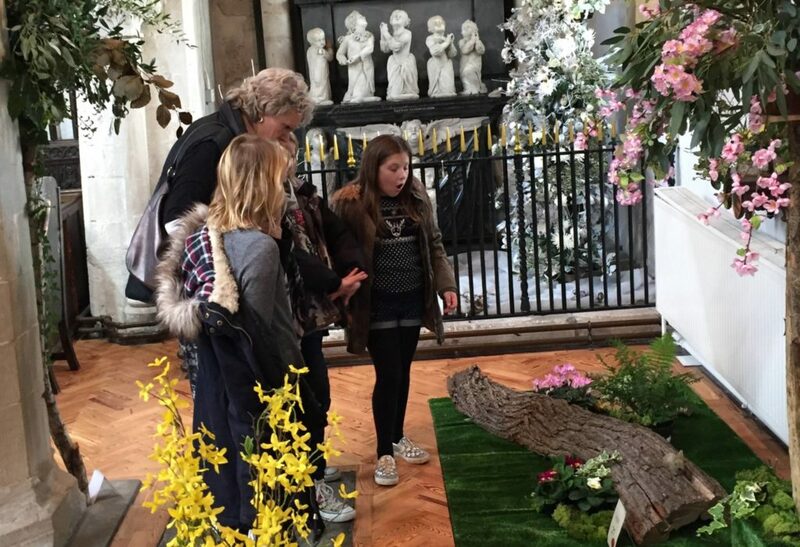 This was an opportunity to celebrate not just floral artistry, but to show what local people can achieve. Designing the arrangements, sourcing the materials, assembling the displays, printing the leaflets and posters, advertising and outreach on social media, organising the raffle, selling tickets, baking cakes, serving teas and coffees, mulling wine, welcoming the visitors… the list is endless. And the end result – priceless. Visitors young and old all found something to entrance them, and the theme of “Narnia” from the books by C S Lewis was picked up throughout the display design. The money raised by the Festival will go to restoring the roof of the Church. Magical morning with the grandchildren!!! 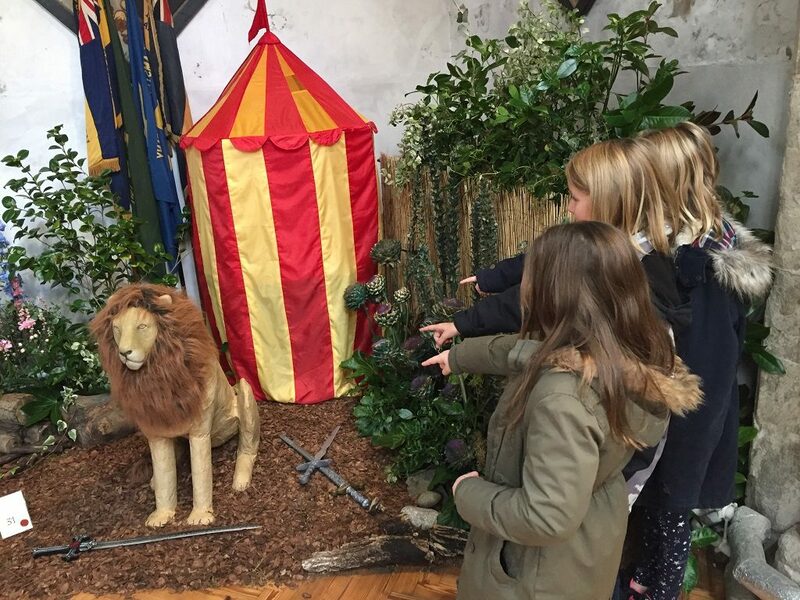 They loved it – Narnia aficionados! They cannot stop talking about it and want to bring their parents here on Sunday. 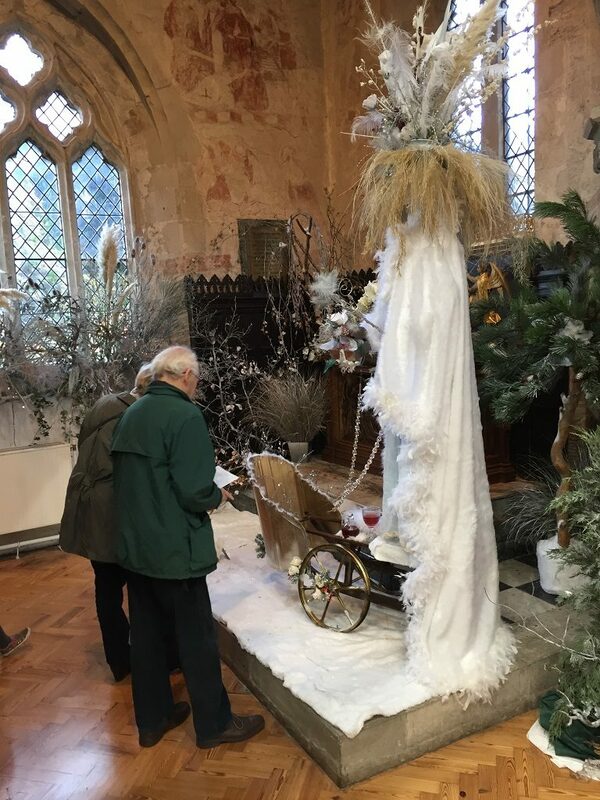 Amazingly people who helped with displays and met the lady who headed it up – what a talented lady she is! Thank you and hope this helps massively towards your goal to save the church roof from those dreaded death watch beetles!! Narnia. Absolutely fabulous ! 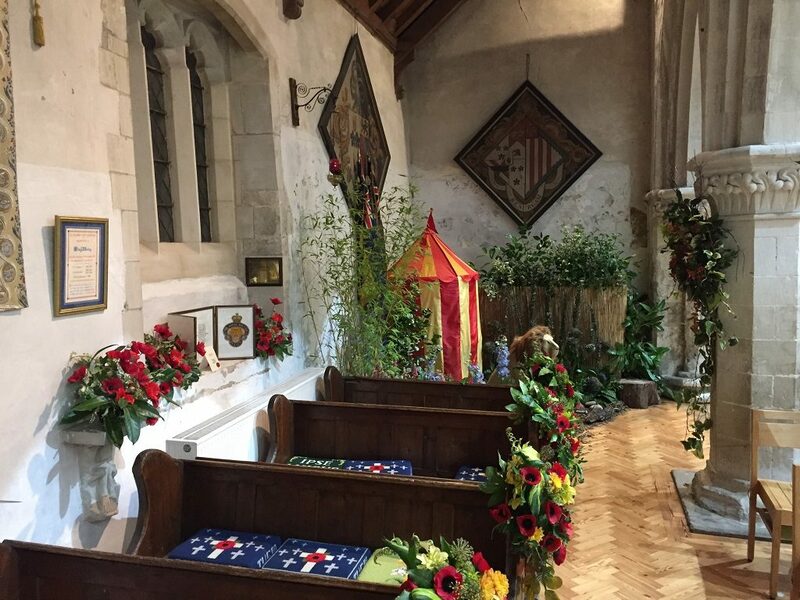 congratulations Flamstead people for taking the concept of a flower festival to another level. Saw your advert for this event on the verge outside the Premier Inn, just off the A6 yesterday. shame I didn’t have the time to call in – would have liked to have seen the Narnia festival but it’s worth stepping off the beaten track just to visit the church. A very special and interesting place and such a surprise that one should find this so close to the M1! Great photos. This was a magical event. I have been in Flamstead for 3 years or so now and never cease to be amazed by what this small community can make happen! I have no doubt that “saving” the church is possible and in the process improving this wonderful place at the heart of the community. Thanks to all for their hard work!